This is my first post for my "Coping with Ichthyosis" diary. I am diagnosed (by myself because non of the doctors I went to knew what was wrong, read My Story) with Ichthyosis Vulgaris. Because of this (exposing myself) I might never find a boyfriend and get married Lol joking I had 3 ex boyfriends (so don't worry so much about your appearances, none of them mind!) but would prefer single life at least for now. I would like to help those who are also suffering from Ichthyosis Vulgaris but mistakenly diagnosed as Eczema (like me), those who are too shy to admit (like me when I was younger, I avoided questions, now I just proudly say "I have Ichthyosis Vulgaris, go Google") and those who would like to know soothing remedies (it would also be best to read and join the forum on Ichthyosis.com). After I knew I had Ichthyosis Vulgaris, I not only explain how and why my skin is such, people seem to be more considered. Not that I wanted the special treatment but they seem to understand if the area I sleep I covered with flakes, my table appear dusty even though it's just fine skin particles (ewww I know but I couldn't help it, it's nature doing it's job), and I unconsciously scratch myself at night while sleeping. My roommate of 5 years in university is admirably tolerant because even I feel annoyed that the floor on my side always feel sandy and dusty from the flakes. Anyways, here will be the journey of my ups and downs coping with Ichthyosis Vulgaris and types of remedies I tried for my skin. 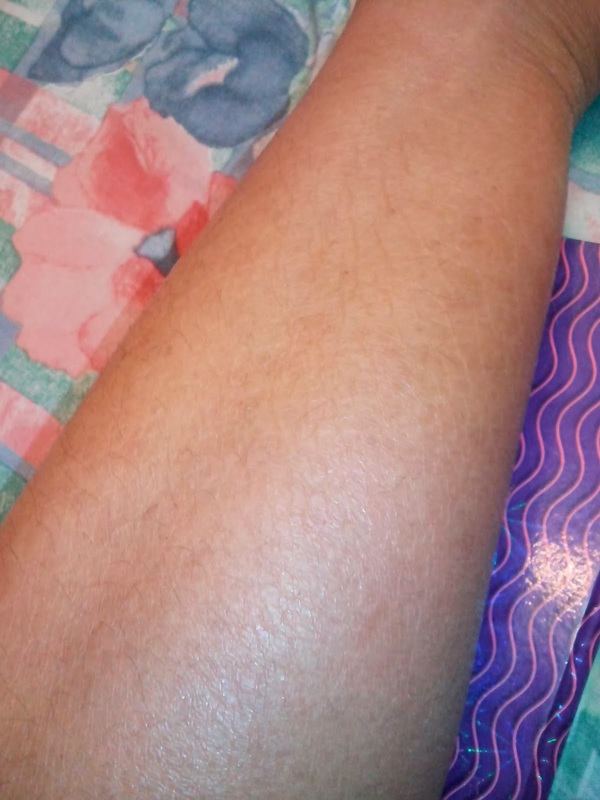 There is no cure for Ichthyosis Vulgaris but we all try to minimize the itch, irritation and pain. As of today, I am using the Johnson's Baby Milk Bath (other types of Baby baths didn't work) and St.Ives Hydrating Vitamin E lotion with scrubbing using coarse loofah. The weather is pretty humid these days (I found molds growing on my one-week left aside backpack yikes!) so the flaking isn't that bad. Maybe except my back which is more difficult for me to scrub. The most frequently asked question is "why are your hands like that?" 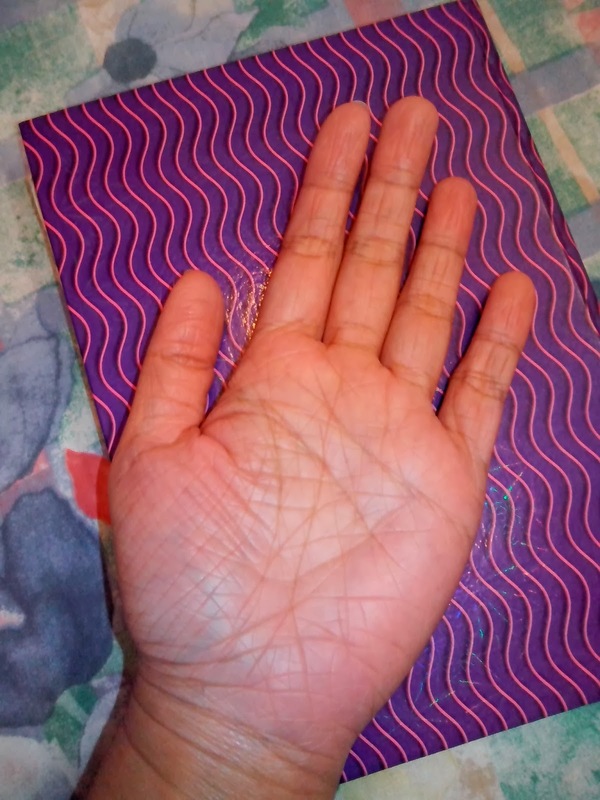 The top is like wrinkly (can be denied, I might be so hardworking washing dishes & cleaning the house Lol) but the palm is obviously not like a common person. These palms were what the trainee doctor was amazed with and he took out his camera right away, started taking pictures of my palms instead of inspecting me *sigh. 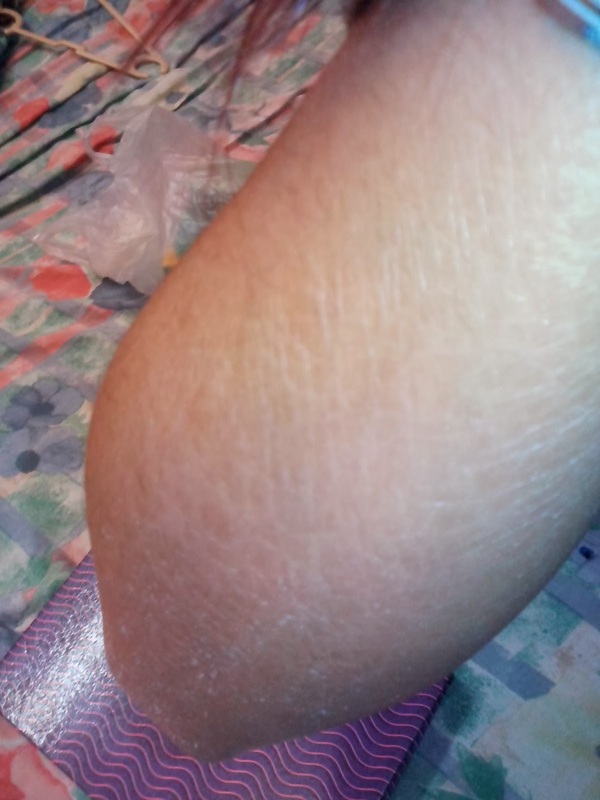 I hope he finally found what is the disease and will one day find a cure =.= And these is a name for it, it's called "Hyperlinear Palm Wrinkles"
Scaly leg and arm. I just applied lotion so the scales don't look so bad right now. Some other time you can see white flakes (you can see some on the arm) and just so scaly even if you stand 2-3 meters away you will notice. No eczema rashes because it rained whole day, I just stayed home. But feet had been sensitive to dirty floor so we had been vacuuming and mopping alternate days. Even the slightest dust can cause itch. And sometimes I missed out the sole while applying lotion because I need to hurry so the sole crack on the lines. Hello, I came across your post while doing my own research. Both my Sister and I suffer exactly the same condition and our hands look just like yours. Recently my fingers have stared pwelding like this too. We use a urea cream too aND it does help a lot but not helping my fingers. It's been hard living like this... some days, as kids, we didn't go to school because our skin was so bad. Always teased for our wrinkly hands. Our Brother doesn't have this problem... only the girls effected.